ww2dbaseChuichi Nagumo was born in Yamagato, Japan in 1887. He joined the Japanese Navy in 1908, and by 1917 he was at the helm of his first commission, a destroyer. His specialty was torpedo and destroyer tactics. 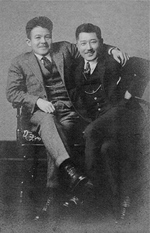 In the 1920s, Nagumo was part of a mission to tour and study naval warfare in Europe and the United States. 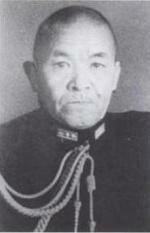 Upon his return to Japan in 1929, Nagumo was promoted to the rank of Captain and served at the Naval Academy. When Japan's eyes looked upon Manchuria, the energetic Nagumo was commissioned the light cruiser Naka to command the 11th Destroyers Division. He later commanded the battleship Yamashiro and the heavy cruiser Takao. As a Rear Admiral, Nagumo commanded the 8th Cruiser Division to support Japanese Army movements in China from the Yellow Sea. As an officer of the militaristic Fleet Faction, he also received a boost in his career from political forces. ww2dbaseAs the war began in Europe, Nagumo, at the time the head of the Naval War College in Tokyo, was promoted to the rank of vice admiral in preparation for Japan's entry into the global conflict. By this time, he had visibly aged, physically and mentally. Physically, he suffered from arthritis, perhaps from his younger days as an athletic kendo fencer. Mentally, he had become an officer who spent every ounce of his effort going over tactical plans of every operation he was involved in. 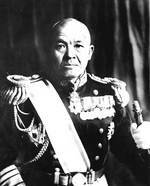 Very soon after his promotion he was named the commander of the Japanese First Air Fleet. Admiral Nishizo Tsukahara had some doubts with this appointment; he commented, "Nagumo was an officer of the old school, a specialist of torpedo and surface maneuvers.... He did not have any idea of the capability and potential of naval aviation." At home, Nagumo did not receive a loving description, either. One of his two sons described him as a brooding father who was obsessed (and later disappointed) with pressuring his sons to follow his foot steps into the navy. Contrastingly, Nagumo's junior officers in the navy viewed him as precisely the father figure that his sons failed to do. ww2dbaseAlthough Nagumo had plenty of critics in the navy, his seniority landed him the job of the commander of the mobile fleet that had been tagged for the task of attacking Pearl Harbor. Admiral Isoroku Yamamoto, commander of the Combined Fleet, probably wished to assign the job to another admiral, perhaps one who had more experience with naval aviation, but strict rules of seniority left Yamamoto little choice. All Yamamoto could do was ensure the non-innovative Nagumo was surrounded by able lieutenants such as Minoru Genda and Mitsuo Fuchida. ww2dbaseWhen Nagumo's fleet struck, it became one of the most devastating attacks in the history of the United States Navy, disabling the entire Pacific Fleet's battle line with one swift strike. Despite the successful raid, Nagumo was largely criticized for his failure to launch the third wave of attack against Pearl Harbor's oil tanks and naval facilities, which might had rendered the greatest American naval base in the Pacific useless, and without Pearl Harbor, the United States would have no major advance base in the Pacific. Such criticism based on what-if scenarios might be unfounded, however, as Japanese naval doctrine of the time placed shore targets very low on the priority list, thus even if Nagumo did indeed launch a third strike, the aircraft would likely continue to target warships much like the previous two waves. He had sailed from Kurile Islands to Pearl Harbor, returned to the western portion of the South Pacific, and then sailed into the Indian Ocean. He had destroyed five battleships, one carrier, two cruisers, seven destroyers, dozens of merchantmen, transports, and various other vessels. He was responsible for destroying hundreds of aircraft from six nations. He brought destruction upon Allied ports, disabling or slowing Allied operations. The damage brought upon Allied forces were at a cost of no more than a few dozen pilots. ww2dbaseAlthough by now Nagumo's name was associated with the wild successes of the Japanese navy, Yamamoto still believed that the fleet carriers of the navy should be commanded by someone who was more daring and believed more in the strength of air power. Nagumo, however, had secured himself in his command based on his seniority over any other officer who had been available for Yamamoto to choose as a replacement. At the Battle of Midway, Nagumo's near-perfect record finally saw an end. With a combination of reasons such as Admiral Osami Nagano's insistence of a simultaneous Aleutian operation and Yamamoto's overly-complex fleet operations, Nagumo saw a devastating loss of four fleet carriers at the conclusion of the battle. Nagumo later sought revenge against the American advances in Guadalcanal, but actions there was largely indecisive, and in hindsight the actions there would slowly fritter away Japan's maritime strength. ww2dbaseAfter Guadacanal, Nagumo was demoted to various unimportant posts before being given command of a small naval flotilla in the Marianas. On 15 Jun 1944, days after the failed Philippine Sea offensive by Vice Admiral Jisaburo Ozawa cost Japan 500 Japanese aircrafts, Nagumo and his Army peer General Saito attempted to defend Saipan in the Mariana Islands against the American juggernaut. On 6 Jul, during the last stages of the Allied conquest of that island, Nagumo committed suicide for his failure to hold Saipan. His remains was later found by United States Marines in the cave where he spent his last days as the commander of the Saipan defenders. 25 Mar 1887 Chuichi Nagumo was born. 2 Dec 1905 Chuichi Nagumo entered the Japanese naval academy. 21 Nov 1908 Chuichi Nagumo graduated from the Japanese naval academy and was promoted to the rank of midshipman. 2 Sep 1909 Chuichi Nagumo was assigned to armored cruiser Nisshin. 1 Dec 1909 Chuichi Nagumo was assigned to protected cruiser Niitaka. 15 Jan 1910 Chuichi Nagumo was promoted to the rank of ensign. 5 May 1910 Chuichi Nagumo was assigned to armored cruiser Asama. 20 Apr 1911 Chuichi Nagumo enrolled at the naval gunnery school. 4 Aug 1911 Chuichi Nagumo enrolled at the mine warfare school. 1 Dec 1911 Chuichi Nagumo was promoted to the rank of sublieutenant. 24 May 1913 Chuichi Nagumo was assigned to destroyer Akizuki. 1 Dec 1913 Chuichi Nagumo enrolled at the Japanese naval war college. 27 Sep 1914 Chuichi Nagumo studied an advanced course at the mine warfare school. 1 Dec 1914 Chuichi Nagumo was promoted to the rank of lieutenant and was assigned to battleship Kirishima. 3 Dec 1915 Chuichi Nagumo was assigned to destroyer Sugi. 22 Dec 1915 Chuichi Nagumo was married. 28 Aug 1916 Chuichi Nagumo's marriage certificate was made official. 1 Dec 1916 Chuichi Nagumo was attached to the Fourth Fleet. 28 Mar 1917 Chuichi Nagumo was attached to the Third Fleet. 15 Dec 1917 Chuichi Nagumo was named the commanding officer of destroyer Kisaragi. 21 Jan 1918 While conducting a night exercise, Chuichi Nagumo's destroyer Kisaragi collided with sailing vessel Miyajima Maru; Nagumo was sentenced to two days in the brig. 1 Dec 1918 Chuichi Nagumo studied an advanced course at the Japanese naval war college. 1 Dec 1920 Chuichi Nagumo was promoted to the rank of lieutenant commander and was named the commanding officer of destroyer Momi. 1 Nov 1921 Chuichi Nagumo was named the chief of staff of the First Minelayer Flotilla. 1 Dec 1922 Chuichi Nagumo was assigned to the Navy Ministry. 8 Sep 1923 Chuichi Nagumo was named the chairman of a special Japanese Navy rescue committee in the wake of the Great Kanto Earthquake. 10 Nov 1923 Chuichi Nagumo was name an instructor at the Japanese naval war college. 1 Dec 1924 Chuichi Nagumo was promoted to the rank of commander. 1 Jun 1925 Chuichi Nagumo began a tour to Europe and the United States. 20 Feb 1926 Chuichi Nagumo returned to Japan after a tour of Europe and the United States. 30 Mar 1926 Chuichi Nagumo was named the commanding officer of gunboat Saga. 15 Oct 1926 Chuichi Nagumo was named the commanding officer of gunboat Uji. 15 Nov 1927 Chuichi Nagumo was name an instructor at the Japanese naval war college. 30 Nov 1929 Chuichi Nagumo was promoted to the rank of captain and was given command of the light cruiser Naka. 1 Dec 1930 Chuichi Nagumo was named the commanding officer of the 11th Destroyer Division. 10 Oct 1931 Chuichi Nagumo was attached to the naval headquarters. 16 Feb 1932 Chuichi Nagumo was named a representative to the Second Geneva Naval Conference. 25 Feb 1932 Chuichi Nagumo was assigned to the Japanese Navy investigation board over the First Battle of Shanghai. 4 Aug 1933 Chuichi Nagumo was assigned to the committee establishing a training program for naval aviation. 15 Nov 1933 Chuichi Nagumo was named the commanding officer of heavy cruiser Takao. 15 Nov 1934 Chuichi Nagumo was named the commanding officer of battleship Yamashiro. 15 Nov 1935 Chuichi Nagumo was promoted to the rank of rear admiral and was placed in command of the First Minelayer Squadron. 1 Dec 1936 Chuichi Nagumo was named the commanding officer of the 8th Cruiser Division. 15 Nov 1937 Chuichi Nagumo was named the commandant of the mine warfare school. 15 Nov 1938 Chuichi Nagumo was named the commanding officer of the 3rd Cruiser Division. 14 Oct 1939 Chuichi Nagumo was placed on a committee studying capital ship bridge design. 15 Nov 1939 Chuichi Nagumo was promoted to the rank of vice admiral. 1 Nov 1940 Chuichi Nagumo was named the commandant of the Japanese naval war college. 10 Apr 1941 Chuichi Nagumo was named the commanding officer of the First Air Fleet. 14 Jul 1942 Chuichi Nagumo was named the commanding officer of the Third Fleet. 11 Nov 1942 Chuichi Nagumo was named the commanding officer of the Sasebo Naval District. 17 Nov 1942 Chuichi Nagumo was granted audience with Emperor Showa. 21 Jun 1943 Chuichi Nagumo was named the commanding officer of the Kure Naval District. 20 Oct 1943 Chuichi Nagumo stepped down as the commanding officer of Kure Naval District, Japan and was given command of the First Fleet. 4 Mar 1944 The Japanese Navy formed the 14th Air Fleet under the command of Vice Admiral Chuichi Nagumo with Rear Admiral Hideo Yano as his chief of staff; the fleet had the sgrenth of two air flotillas and one seaplane tender. 6 Jul 1944 Chuichi Nagumo committed suicide for his failure to hold Saipan, Mariana Islands. 8 Jul 1944 Chuichi Nagumo was posthumously promoted to the rank of admiral. If Nagumo had went back for Pearl Harbor to destroy the US fuel facilities, it would have only been a minor setback. In late 1941, the United States was simply the most well equiped nation in the war. Yamamoto himself said that If you tell me that war with the United States is unavoidable, then I will unleash all I have in the first six months and promise you an uninterrupted sequence of victories. But I warn you, if hostilities continue for two or three years, then I have no confidence that ultimate victory will be ours. One of the very reasons that Japan attacked the United States was Roosevelts oil embargo, which threatened to cripple the IJN. Also note that a few months prior, at El Alamein, Montgomery was able to beat Rommel mainly because he was receiving new, fully fueled American Sherman tanks and bringing them straight to the front lines. Also, the submarines stationed at Pearl were not sunk, and more importantly, neither were any American carriers. So from a purely technical standpoint, destroying the fuel facilities at Pearl would by no means have been a crippling blow. From a different standpoint, contemplate these events leading up to and during the Battle of Midway. *The USS Yorktown, so badly damaged the Japanese thought she was sunk, was repaired in a fraction of the time it should have taken. *The Japanese plane that found the American carriers was launched from its cruiser a half hour late, preventing Nagumo from launching his attack until the Akagi, Kaga, and Soryu had been disabled. *Nagumos carriers unexpectedly changed course, and yet planes from the Yorktown and Enterprise both found the Japanese carriers, within minutes of eachother, from two different directions, sinking three of the four carriers. *Had the Yorktown not been at the battle, only the planes from the Enterprise would have found the carriers, leaving two or three to counterattack instead of one. *After Nagumos carriers had been lost, Yamamoto brought in more and set a trap for the Americans. Spruance changed course and took his task force in the opposite direction. Now if anyone reading this does not believe in God, I am sorry if I have offended you, but do believe in God, and I think that these coincidences are pretty compelling evidence that He was on the side of the United States. So in the grand scheme of things, I doubt very much that a second attack on Pearl Harbor would have done much to hinder the sleeping giant. Mr. Summers remark about strategic vision is interesting. A case could also be made out for Nagumos indecision. He was undecided about a third strike at Pearl Harbour, partly becuase of the possiblility of air strike from the absent USN carriers, partly because the American defences now fully alert could inflict serious losses on his aircrews. He was undecided at Midway where his aircraft were being rearmed and refuelled at the moment of the American strike. Thirdly, during his sweep across the Indian Ocean, after he had attacked Ceylon, his force came within 140 miles of the British Eastern Fleet. There was an opportunity for him to sink or disable some the most modern heavy units the Royal Navy had and impose Japanese maritime rule over the Indian Ocean. However by a mixture of poor reconnaissance, again , and indecision as to whether to continue to steam west or not, he threw it all away. It has been said that he had little conception of naval air power, being a traditionalist. This may account for his vacilation at important moments. Indeed I think Admiral Nagumo had a very blured vision of how an attack plan against the US should look .Not only the benefits ,for his own country, of such an attack were unclear ,but also the decisions to go and fight out to Pearl Harbor ,made by the jap. government, emerged from long month of severe talks between the leaders of the government. The jap. government was at that time of the War ,not ready to have the right overview of its own war campaign. Some jap. officials called eaven for an invasion of Pearl Harbor after a succesfull attack on the island . Maybe an invasion on the islands would have been possible .It would have been the only way to carry out attacks to the US main-land. Who knows the out going of a full scale attack on the islands for a week . . . . Admiral Nagumos strategic plan could have been used in our days ,were airplane attacks set the base of many battle fields in the world. In 1941 the Pearl Harbor attack was spectacular, but with no strategic after plan to complete the situation on all islands for the japanese . . . Regarding the refusal to launch a third attack wave at Pearl Harbor, I dont believe it would have made a significant difference in the outcome of the war. It would have simply lengthened it by another 6 months or so. The US could easily replace any ships sunk (inc. carriers), whereas any Japanese ship losses were almost impossible to replace. With its combination of overwhelming force and technological superiority 18 months after Pearl, the US Navy began an unstoppable and continuous advance across the Pacific. Also, something I dont understand is the Japanese navys preference for highly complicated battle plans like that at Midway, which required outstanding coordination (difficult during war) and dispositions which placed their surface battle groups uselessly BEHIND their carrier groups! The ultimate failure, of course, was that Japan went to war with a nation on which it could not impose a victory. Japans game plan of a defensive strategy of attritional warfare after the initial conquests could not have been more ill suited to her own weak industrial and manpower resources. Back to Nagumo, I dont think it was unreasonable for him to beat a quick retreat after inflicting massive damage on the American fleet and getting away unscathed - a prudent move given the unknown whereabouts of the American carriers. A man so well known ,has only one photgraph to be remembered by. Sad. Even his gave is unknown. It is the same as his percieved reputation, which has been dimly viewed by amatures and even some experts, based on the self-serving statements of a few of his disgruntled/dishonest underlings ever since he was given the charge of an impossible dual mission, reducing Midway, AND destroying the US Pacific fleet. He was forced against his own judgement to sail into that ambush. People would do aptly to consider that Adm. Nagumo, in two years, as a fleet commander, may well have sunk more enemy capital warships than any other man in modern history. You have to go back to Nelson to find a better. 1)There was absolutely no way for the third attack wave to seriously damage Pearl Harbor as a fleet base. To provide a comparison: much weaker bases, like Rabaul, weren't completely disabled even by much stronger (and continous) attacks. Considering, that American AA defenses were now alert that Japanese couldn't really afford to lose more planes at that moment as that would have endangered their crucial further operations that there was no way to tell, where the American carriers were and that the Nagumo's fleet operated at the absolute limit of its logistical capabilities the decision to retreat without launching the third wave was logical, prudent, and, most likely, correct. As for Midway, while Nagumo can be partially blamed for the disaster, we should remember, that he was straightjacketed, and more importantly, put in extremely dangerous position (against numerically superior enemy air forces, attacking from different directions) by the erroneous operational plan. What most people forget when speaking about World War II in the Pacific is that the Japanese were in way over their heads when you look at manpower, industrial might, and economic power the Japanese were at a major disadvantage. Their own people told them so in1939 the Navy undertook a study of war with America theadmiral l who did it came to the conclusion that they (the Japanese) could not possibly win. Nagumo is a man who did his duty for his people. All said, war is not good by any estimation. Something that never gets mentioned in these posts, is the terrible damage control, safety procedures, and even design vis-a-vis ability to sustain damage, practiced by the IJN. Case after case of ships: the battleship Kongo and one of the major carriers, for example, sunk by a single torpedo hit due to incompetent damage control. The Akagi sustained a single bomb hit and a couple of near misses, burned through the night, and had to be scuttled. And of course, the practice of leaving live bombs lying about at Midway, is legendary. While--just using the Yorktown as an example--she was reported sunk multiple times. Was repaired in time for Midway while both large Japanese carriers present at the Coral Sea were still in yards. And had a Japanese submarine not stumbled onto Yorktown while she was under tow, she'd have survived that battle, as well. IMHO, consistently poor damage control--and really, an overall attitude of aggression and arrogance that emphasized overleaping attack over defense and safety--at many levels--served Japan's navy badly throughout the war and had a great deal to do with her defeat. Just sayin.' Nagumo's conservatism was part of a much larger picture.